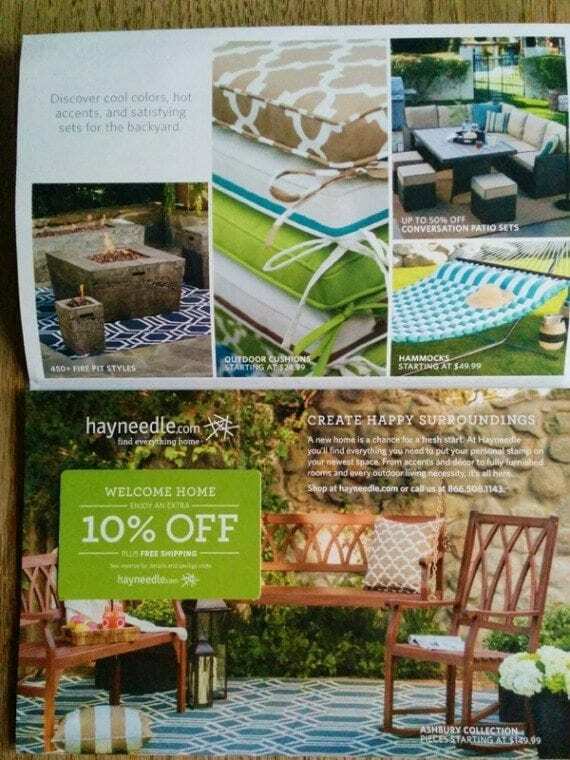 Online retailers Hayneedle, Wayfair, Virgin Wines, Graze, and HelloFresh use direct mail for marketing. 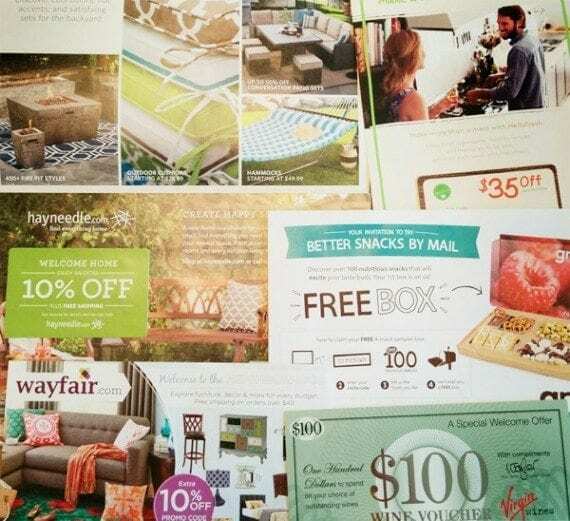 Online retailers Hayneedle, Wayfair, HelloFresh, and many more are using direct mail marketing to acquire new customers for their ecommerce operations. Direct mail may be a traditional, old-school way to market, but it can also be extremely effective. An omnichannel retailer located in the northwestern United States has been using shared direct mail for a few years. Shared direct mail is a subcategory of direct mail wherein advertisers gang coupons together in one envelope or circular to reduce postage costs. For a recent campaign, the company mailed 100,000 coupons to homeowners across two counties. The shared direct mail campaign resulted in 2,457 sales worth roughly $200,000 in revenue. 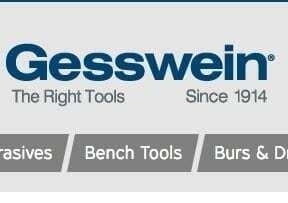 All this for a $3,500 investment. Email marketing is strongly influenced by direct mail strategies. Many of the same tactics digital marketers employ for email can be applied to direct mail and shared direct mail marketing. With this in mind, target direct mail campaigns at those consumers who would be the most likely to purchase from your online store, just like you might segment and target email marketing campaigns. For example, Wayfair sends shared direct mail offers to folks who have just moved. Like Wayfair, target those shoppers most likely to purchase the products you sell. The offer says, “Welcome to the Neighborhood,” and provides a promotional code for an extra 10 percent off of a new Wayfair order. The products Wayfair sells, including furniture and home decor, are often helpful for someone who has just moved into a new home. Online merchants are not limited to local markets. This is one of ecommerce’s advantages. An online retailer in Temecula, Calif. can easily sell to a shopper in Poughkeepsie, N.Y. But for direct mail marketing, it can make good sense to target potential shoppers who live near your warehouse or fulfillment center. The close proximity allows you to reduce shipping costs and transit time, so the order can arrive quickly. Thus, when you target new ecommerce customers with direct mail, try your neighbors first. If you believe using direct mail to promote ecommerce is a novel idea, how do you think your potential customers will feel? Shoppers are accustomed to receiving advertisements and coupons in the mail. However, those advertisements and coupons are usually for stores around the corner or at the local mall. These shoppers might not be certain how to interact with your ecommerce business. Fortunately, some simple instructions can make shoppers feel a bit more confident. Online wine seller Virgin Wines and snack-pack purveyor Graze do a good job of including confidence-building instructions on their direct marketing pieces. Even simple instructions may help your potential customers understand that you’re presenting an online offer. 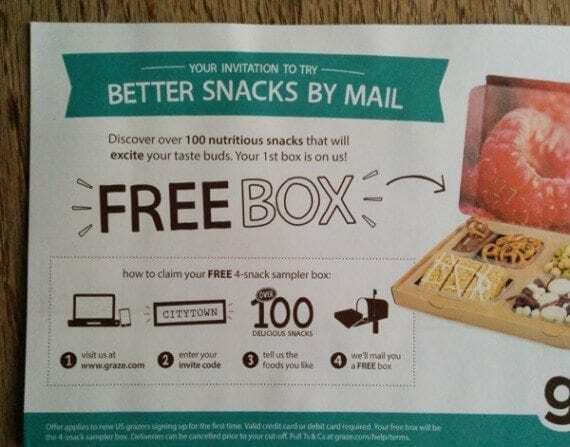 A recent Graze direct shared mailer explained, in four steps, how to get a free snack sampler. These instructions were printed on both sides of the printed offer. Virgin Wines’ offer for a discounted case made it clear how shoppers could get the offer. The “SECRETCODE” is a hypothetical stand in for the actual offer code printed on the wine voucher. Including even simple instructions in your direct mail offer may help shoppers feel more comfortable. Appearances matter for direct mail marketing. When you create your direct mail piece, take advantage of print’s ability to render beautiful images and rich colors. Try to develop attractive direct mail advertisements. A Hayneedle direct mail piece, which, like the Wayfair offer mentioned above, went to folks who had just moved into a new home. The offer showed vivid, seasonally appropriate products well suited for a consumer who was likely doing a bit of decorating. If you want to attract new ecommerce customers with direct mail marketing, create a beautiful, eye-catching ad. Good marketing requires a regular regime of measuring performance, testing, improving, and repeating. Direct mail marketing is no different. Ecommerce marketers can use direct mail and shared direct mail to help attract new customers. 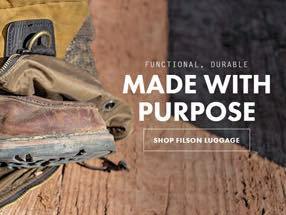 But it will require the same work and diligence as the rest of your marketing toolbox.